Here are a few of my picks for some fancy holiday gifts for women in many price ranges. If your special someone is looking for ideas for you, perhaps simply forwarding this little blog his way will give him a hint! If you have other ideas for me to include, please comment or shoot me an e-mail! The L’Occitane Shea Butter Hand Cream is the perfect hand cream for any handbag! I love the scent and the way this amazing hand cream moisturizes! Nice stocking stuffer too! They come in every color and are super cozy at a price that’s right. Old Navy created a keeper with these slippers. I know slippers are sort of a holiday gift cliche, but they rock! I am always looking for a new pair. They make cold nights at home into cozy nights at home! I love almost everything on Etsy, so I highly recommend buying gifts of all kinds there. 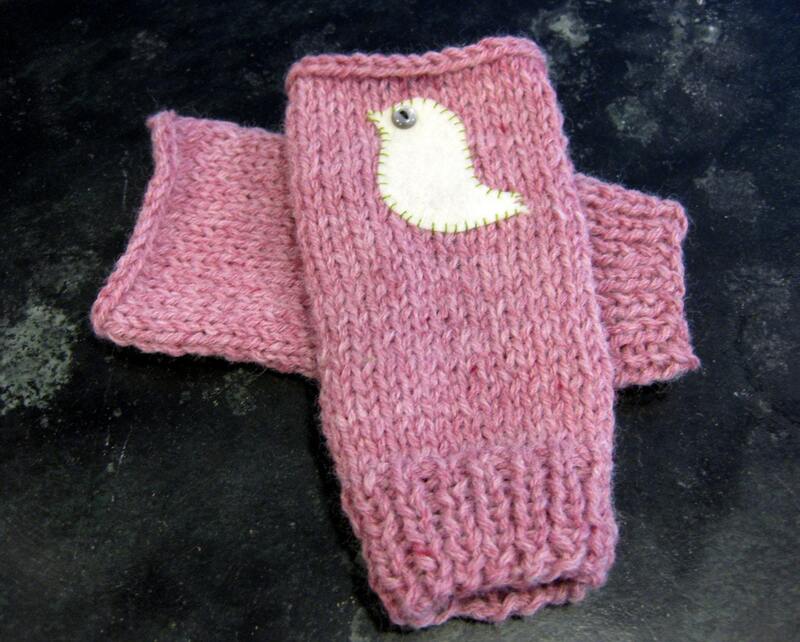 I especially love these Little Bird fingerless gloves by Hooks and Hammers. Anything Aveda makes my list! I love everything from Aveda’s hand cream to their Shampure candles to anything and everything on their shelves. The rosemary mint set is refreshing and lovely! I LOVE everything from Made by Girl. There is so much wonderful handmade jewelry on Etsy.com that I couldn’t pick just one item, so I really recommend a scroll through the pages of the site. 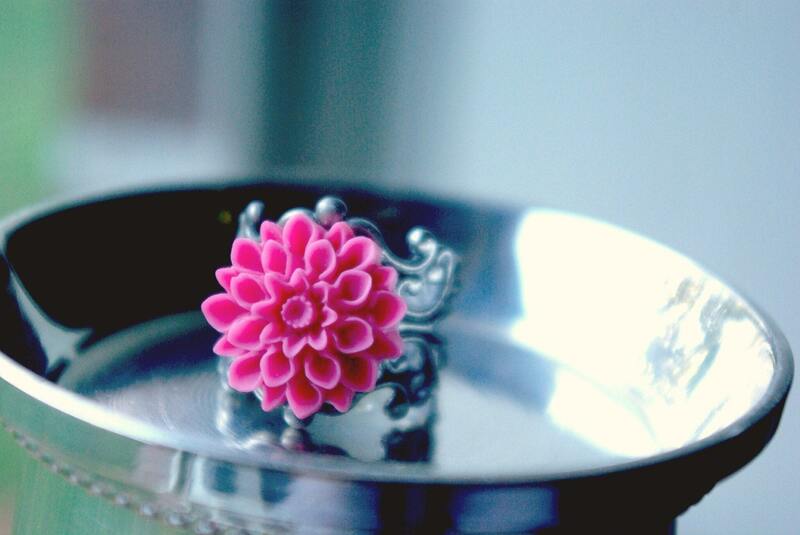 I love this Mediano Pink Dahlia Ring by Pieces of April. Tom’s Shoes are the gift that keep on giving. For every pair purchased, the company donates a pair of shoes to a child in need. The shoes are incredibly comfortable, you are basically getting a pair free for someone who needs it and GLITTER! These can make a statement throughout 2011! Two of my very fancy colleagues have this beauty! It holds a lot of essentials and the look is nothing short of chic! Available at Bloomingdales and on BlueFly.com. Love ’em or hate ’em, Uggs now sparkle! I’m choosing to love them because, ’tis the season, right? Uggs do not seem to be going away! For most Minnesota women Uggs or their knock-off wannabes (which I wear) are a winter staple! A great bag for everything! Take it to the gym, shopping, out with friends, a long weekend away or use it for work or as a carry on for airline travel. The Long Champ Le Pliage Tote is the perfect carryall bag for just about everything. What do you want for the holidays? I’d love to add your gift ideas to my list. Live the fancy life! One Response to "holiday gift guide—women’s gifts"
Ooh I love a good holiday gift guide – thanks for posting! This Christmas I am obsessing over a new handbag from Clare Vivier. On the other end of the budget spectrum, I’d also love a Penguin hardcover of Anne of Green Gables or The Secret Garden – two childhood favorites!